The busts of the dead historians were a clue. But would the path to solving the mystery change history? Rennes-le-Château is a small hilltop village in Languedoc in southern France that become famous internationally after the 1982 worldwide bestseller The Holy Blood and the Holy Grail. A 19th-century priest, Father Bérenger Saunière, allegedly followed landscape alignments measured between village churches leading him to a valuable sacred treasure and while this story has always had its skeptics, when Dan Brown retold it in his 2003 bestseller The Da Vinci Code, Rennes-le-Château saw over 100,000 mystery seeking tourists in the first year. This tale of mystery and intrigue reflects many of the clues and components that have made Rennes-le-Château famous. It revolves around a French hilltop village church that is located amidst mysterious landscape alignments. What is more, an inner circle of famous French historical figures all shared a secret about the village—a secret of great and ancient astronomical significance. Join historian Ashley Cowie as he examines a set of similar landscape alignments around the French village of Alaise, including one rare alignment of eight village churches. What does this incredible alignment point towards? Why are the busts of two prominent Frenchmen located upon the alignment? And, is the alignment a monument to one of the most seminal battles in European history? All of these questions and many more will be answered in this exclusive Ancient Origins Premium webinar. 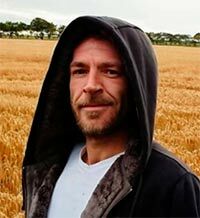 Ashley Cowie is a Scottish historian, author, and filmmaker exploring and investigating myths and legends, ancient cultures and kingdoms, science and psychology, artifacts, iconography, and architecture. Visit AshleyCowie.com and find out more in his in-depth books, A Twist in Time, Secret Viking Sea Chart, and others.